I have no idea what most of that says! But I will be very disappointed if “BiG BiG WAVE” isn’t a surf song. Idol needs more of that, period. Do we know if there’s any Yuuhi left on this album? In my mind, that’s supposed to be her on the cover art, unless Momo’s illusive younger sister is the tallest of the bunch. 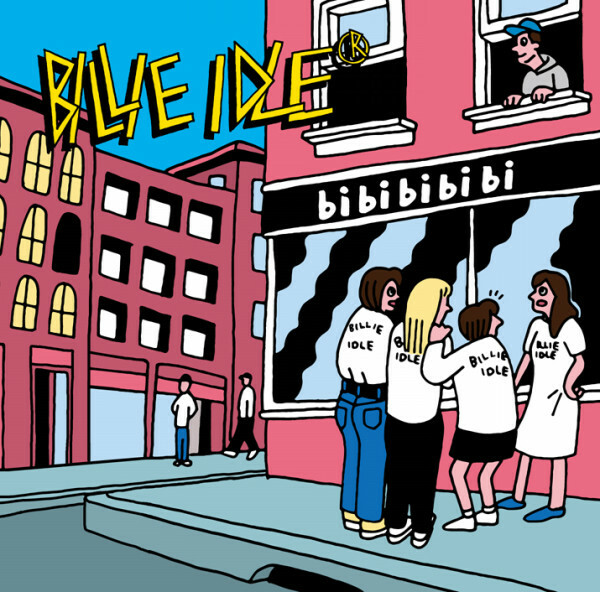 Then again when have the pictures on Billie Idle cover art ever been representative of anyone… or their lips? I just got back from being off the grid, It looks like it’ll take weeks to catch up on the BiS and BiS-affiliate news that I’ve missed!